Sussex Police face growing criticism from both government ministers and the British public over their handling of the Gatwick drone incident last week, which saw 140,000 people miss their holiday flights and close the second busiest airport for two days just as Christmas holidays started. Furthermore, the English couple who were wrongly arrested this week because of the drone sightings at Gatwick Airport feels ‘completely violated’ by the Sussex police. 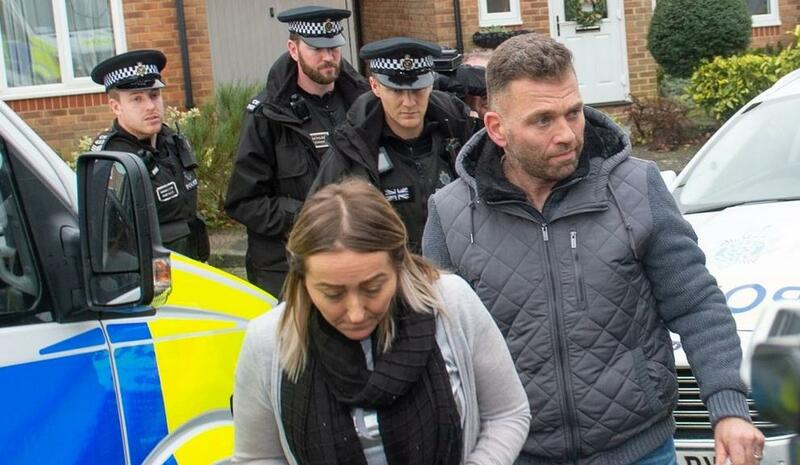 In an emotional statement outside their home, the couple arrested over the drone disruption at Gatwick Airport and later released without charge said: "As you can probably imagine, we're feeling completely violated"
Related coverage: London – Gatwick Drone Suspects Released – $60K Information Reward. British media released statements apologizing to their readers for wrongly accusing the couple of a crime they didn’t commit (Mr Gait was clearly at work during the drone sightings as multiple witnesses have since confirmed) and London police soon followed suit. They are not the only two people who have serious criticism of the police investigation into the drone attacks. The British Transport Minister Chris Grayling also reacted annoyed that police had arrested the innocent couple. Research should show what went wrong. Meanwhile Sussex Police Detective Chief Superintendent, Jason Tingley responded to growing speculation there was never a drone: "Of course, that's a possibility. We are working with human beings saying they have seen something." Given the enormous popularity of drones and the problems that can arise when they are flown near airports, the UK government promises swift action in the future and has pledged a reward of no less than $60,000 for any information about the drones that closed the entire Gatwick airport near London since last Wednesday. The repeated appearance of the unmanned airplanes forced the airport to shut down air traffic for 36 hours. Some 800 flights were canceled and 140,000 people saw their holiday plans disrupted. Gatwick, 50 km from London, is the UK's second airport with 45 million passengers a year. It's as though the British police, media and politicians are having a contest to determine which of them can be the biggest assholes. Just think if they didn't have the witnesses. There has to be a better way to handle these reports. Having flow in and out of Gatwick several times years ago. I know they have the ability to track airport airspace for such drone and etc.. issues. It's a DRONE GRAB. Watch! Civilians (all good commies) don't need these dangerous weapons.